U.S. Overseas Private Investment Corporation (OPIC) has repeatedly approved the provision of $6.407 million loan with twelve-year tenor to Ukrainian Catholic University of the Ukrainian Greek-Catholic Church in Lviv. According to a report of OPIC, the funds will be used for construction of a multi-purpose academic building and a residential building to expand the university campus. The total cost of the project is $13 million. The U.S. sponsor is Ukrainian Catholic Education Foundation Inc., a not for profit corporation organized in Illinois. According to the materials, with the expansion of academic and residential buildings, the university expects enrollment to increase by 50% in the coming years, while the school also expects to nearly double the number of need-based scholarships it offers for local students. As reported, last year OPIC approved the similar project. Then the loan was $6.2 million with the total cost of the project of $12 million. Ukrainian Catholic University was built in 2002. The European Bank for Reconstruction and Development (EBRD) could provide EUR 149 million to national energy company Ukrenergo for the project to modernize power transmission networks, the bank has said on its website. The project has passed final review, pending board approval. The loan will finance procurement of up to 26 new transformers and the automation and upgrade of 12 high voltage substations in key locations of the transmission network of Ukraine. The total project cost is EUR 198.2 million, including EUR 49.2 million of own funds of Ukrenergo. The project will enable Ukrenergo to upgrade its key transmission infrastructure, required for synchronization with the European Network of Transmission System Operators for Electricity (ENTSO-E). In addition, the modernization will result in substantial energy savings and associated CO2 emission reduction. 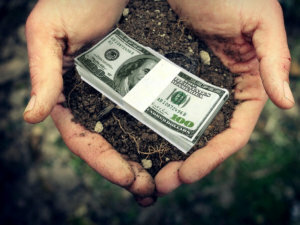 Ukraine on February 28 raised a loan of EUR 529 million from Deutsche Bank under the guarantee of the International Bank for Reconstruction and Development (IBRD, the World Bank Group), according to the website of the Ministry of Finance. The funds were received in two tranches: an A tranche in the amount of EUR240 million with maturity in four years and a B tranche in the amount of EUR289 million with a final maturity in ten years (four years and six months after raising the funds, the loan is subject to gradual repayment with certain amounts every half a year). The second part of the guarantee in the amount of $375 million in the euro equivalent of the total amount of the World Bank guarantees of $750 million was used for the loan. 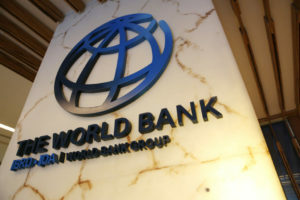 As reported, the World Bank Board of Executive Directors on December 18, 2018 approved the provision of guarantees to Ukraine in the amount of $750 million in support of state policy. Myronivsky Hliboproduct Agroholding (MHP) will borrow EUR120 million (UAH 3.79 billion) in a loan from ING Bank N.V., PrJSC Zernoproduct MHP reported. 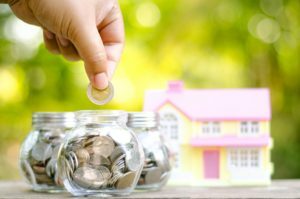 The company will act as a guarantor for this loan, it said in an announcement of the information disclosure system of Ukraine’s National Securities and Stock Market Commission. PrJSC Zernoproduct MHP’s assets are estimated at UAH 6.103 billion, according to the latest financial statements. The ratio of loan value to asset value is 62%. According to the MHP website, PJSC Zernoproduct MHP was established in 2004, it has 19 branches, two grain elevators, 23 dairy farms. Its land bank is 90,900 hectares. 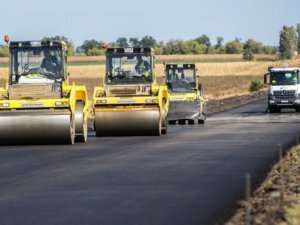 The European Investment Bank (EIB) has approved a EUR 50 million credit line to help Ukraine’s railway and road authorities, Ukrzaliznytsia and Ukravtodor, eliminate bottlenecks in European transport networks. As the bank announced, its board of directors approved the project on September 19, 2018. It covers projects for small transport infrastructure worth up to EUR 20 million. Loans are to be used to improve interaction within the framework of the Eastern Neighborhood and provide substantial support for small-scale but locally significant projects. It is also expected that such financing will improve traffic safety. The EIB document states that the total cost of this framework project is approximately EUR 110 million, but other sources of co-financing are not specified. 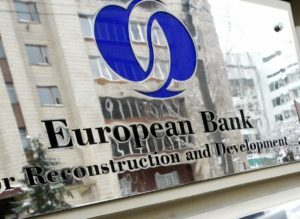 The European Bank for Reconstruction and Development (EBRD) is considering a project for the issue of a EUR35 million multi-currency loan to France’s Soufflet Group for the work of its subsidiaries in Ukraine, Poland, Romania, Bulgaria, Kazakhstan, and Serbia. According to the bank, the board of its directors plans to discuss this project at a meeting on October 3 this year. It is assumed that the funds will be used to replenish working capital necessary for the subsidiaries to work in the agro-market of these countries: from storage and processing into malt to trade in agricultural products. Among the customers are Soufflet Agro Ukraine and Soufflet Agro Polska, which are 100% subsidiaries of Soufflet Group. In the first half of 2018, Soufflet Agro Ukraine LLC saw revenue rise by 60.3%, to UAH 2.707 billion, while net profit fall by 2.8%, to UAH 109.93 million. Last year the company more than doubled revenue, to UAH 3.835 billion, posting a net loss of UAH 23.23 million against UAH 31.49 million net profit a year earlier.